Anti-rust oil, PE film covered first, Plastic box, then carton. ASSAB, SAARS, Daido, Hitachi And Bohler Etc. 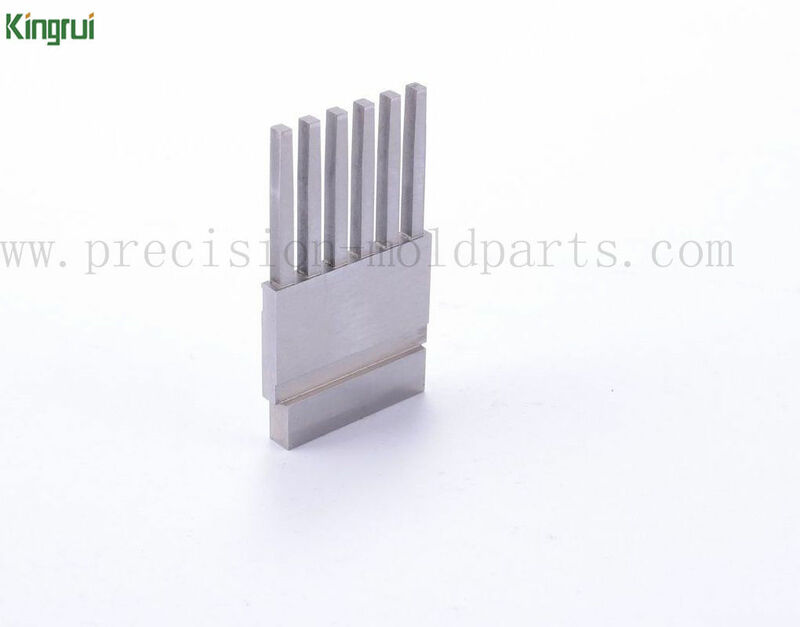 These connector mold parts were fabricated for molded pin connector and were designed for use in a high volume electronics application. It required precision as well as durability, and required features that would enhance the manufacturability of the finished parts. 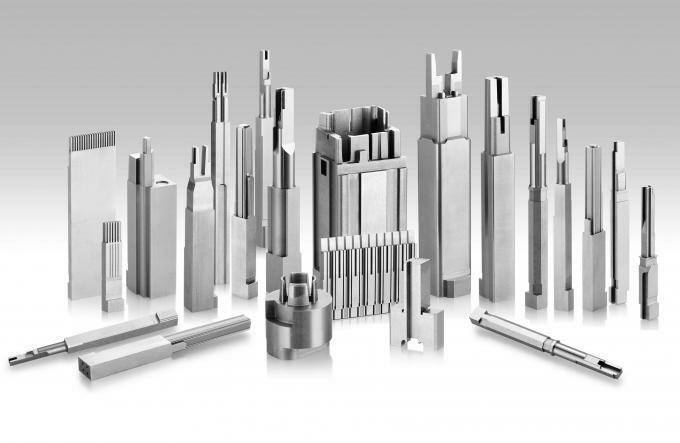 They are designed to allow for frequent change overs during production, while maintaining a high degree of precision. PartS are manufactured utilizing our precision surface grinding, and EDM machines which include Mitsubishi EDM, Sodick EDM, and Charmille EDM. 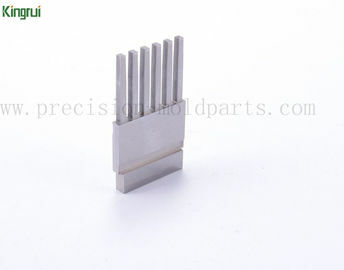 These components are used as a mold for pin connectors. Mold components were manufactured by KINGRUI utilizing Surface grinding, EDM, Wire EDM, CNC Graphite Milling. Parts are polished to meet final molded insert surface finish requirements. EDM matt finish & fine surface finish as required. 1. Your inquiry will be replied within 12 hours. 2. Well-trained & experienced sales can reply your inquiries in English. 4. The order will be produced exactly according to order details and proofed samples. Our quality inspection department will submit inspection report before shipment. 5. Good after-sale service Quality is our culture,with us, your money in safe, your buiness in safe , your success is our super goal. Our honest will touch your heart.Hope we can have long term bussiness with you in the near future, And you will never regret choosing us!